Colorado is an amazing place for several reasons: 300 days of sunshine a year (in Denver, at least), craft beer practically free-flowing from water fountains, liberal politics, amazing festivals…I can go on and on. So it didn’t catch me by surprise when my neighbor recommended perhaps the most amazing off-leash dog park I’ve ever seen. Among other amazing attributes that make Colorado famous, it’s probably most loved for its limitless outdoor recreation opportunities. 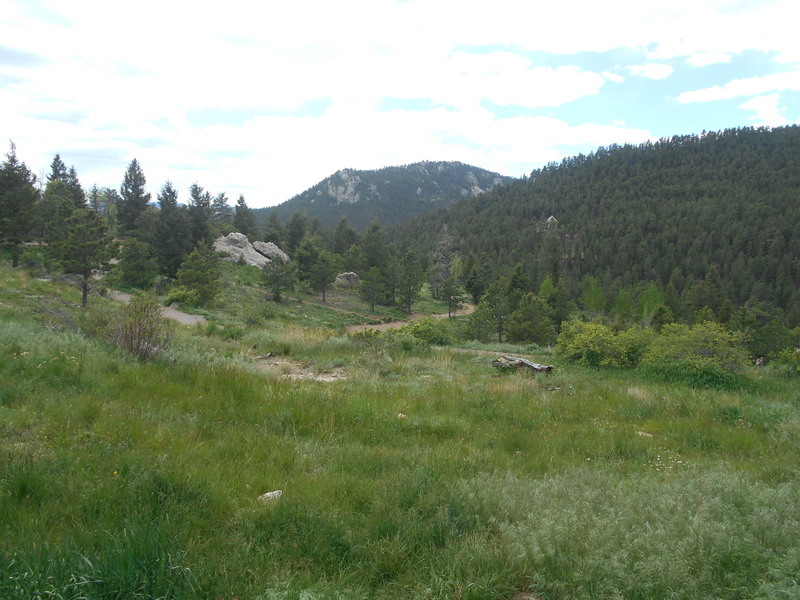 Elk Meadow in Evergreen, Colorado was no exception. The ride from Denver is about 35 minutes up the mountain to Jefferson County. You are immediately greeted with open spaces, amazing mountain vistas, lush evergreen trees and incredible fresh air. Mountain bikers race past your car and even McDonald’s looks worth a visit with its log cabin motif. Upon arriving in Evergreen, you’ll notice it’s a quaint mountain town with plenty of opportunity to explore its natural beauty. 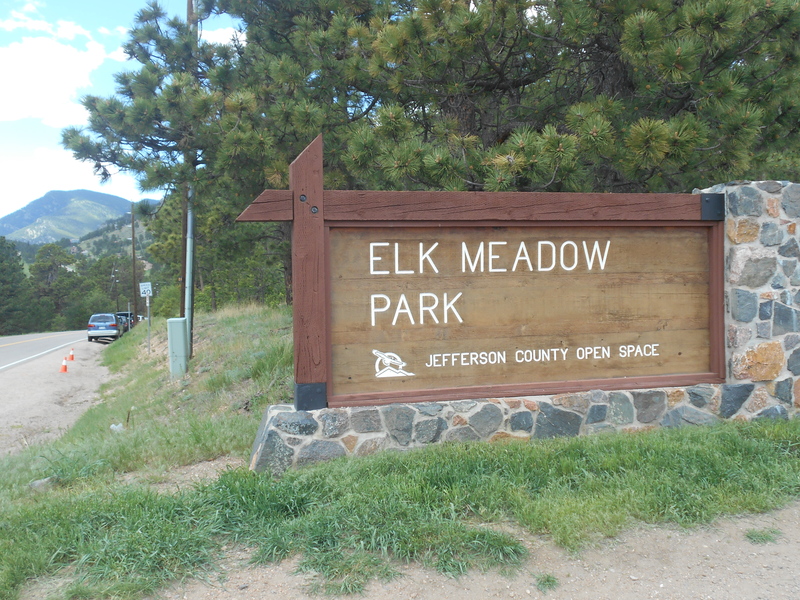 Elk Meadow Park spans roughly 1600 acres and offers hiking, biking and views of the Continental Divide. Most importantly for dog owners, though, it offers an off-leash dog recreation area. 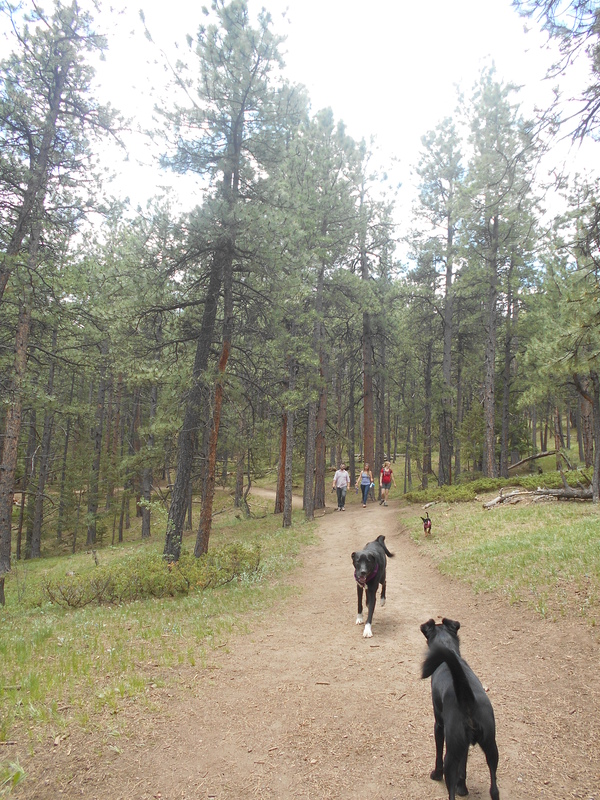 The off-leash dog area is about 2 miles down the road from the main entrance to Elk Meadow Park. Once you arrive, especially if it’s a weekend, you’ll be greeted by a boatload of furry friends and their owners’ cars. We didn’t have a problem parking, as people are coming and going all day long. Enter Elk Meadow Off-Leash Park. An amazing lush landscape literally tucked into the mountains where dogs can roam free! Best of all, you can get your hike on while Fido runs alongside of you, playing with other amazing, fun dogs along the way. 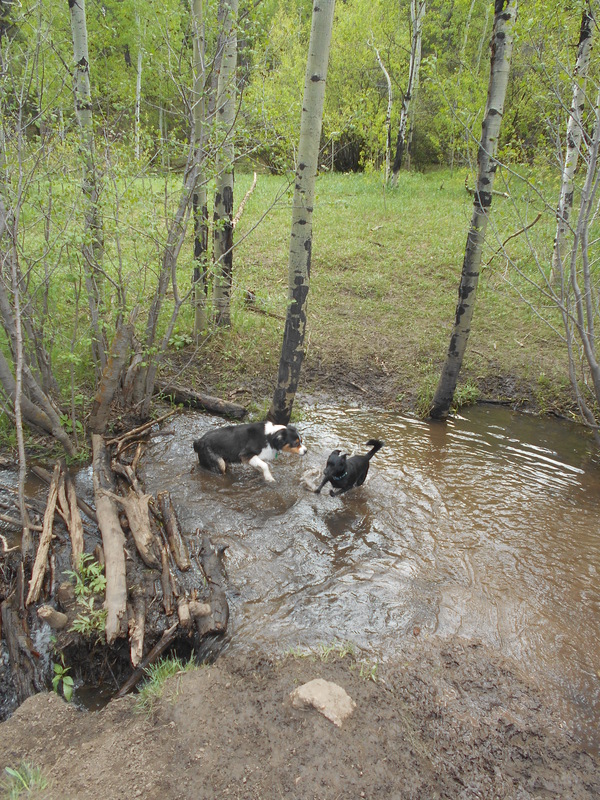 There are two spacious fenced in areas for doggy playtime, as well as nearly 3 miles in trails and a creek for the dogs to play in. TIP: There is no water here for dogs, so make sure to bring some for your furry friend! With over 107 acres to explore, you and your dog will surely get thirsty. Pono, Jon and I hiked 2 loops while enjoying the great scenery. Anyone in the metro Denver area must immediately bring their dog to this park. It’s by far the best place I’ve seen. Even if you don’t have a dog, this park is worth a visit just for the hiking and views alone. The best part is, it’s only a short drive from the city. Once you get your country fix, you can head on back to the city and catch happy hour. Score!